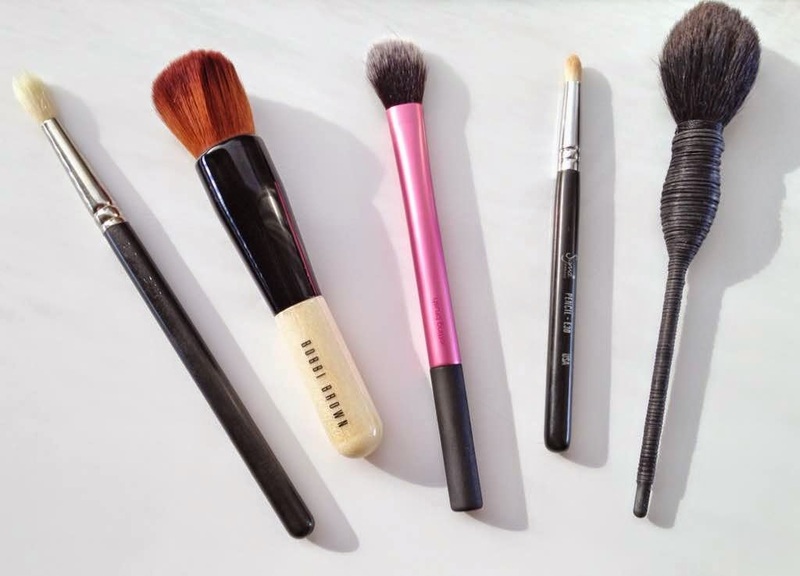 I have so many brushes in my collection, but find that I tend to reach for the same few repeatedly and thought I would share my top 5 and most used brushes with you today. I generally use powder products to contour and I previously reviewed the Anastasia Beverly Hills Contour Kit here, which I love but I found that I was not using the highlight powders. Also with my skin being so dry, I was keen to try a cream contour but wasn't very excited about any cream contour products I had seen until I saw Tati from Glam Life Guru use this Smashbox Step by Step Contour Stick Trio set. 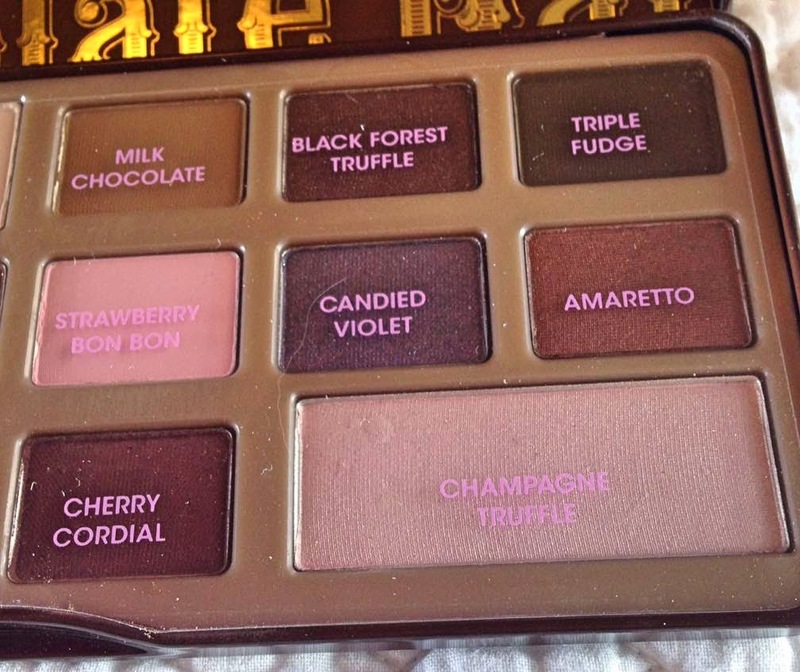 Too Faced Chocolate Palette - in my top 3 palettes of all time! 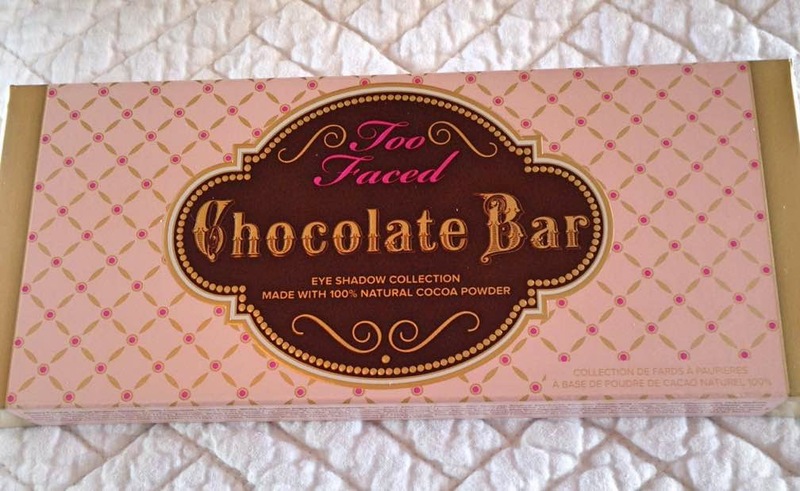 When the Too Faced chocolate palette was first released, it was an eye-watering €63 so I immediately told myself that I didn't need or want it. However, I read so many great things about it so I still sneakily kept me eye on it and when I recently saw it on the Debenhams for €44 and then there was a further €5 discount, I decided it was time to buy it! This palette is all kinds of amazing and it is definitely one of my favourite palettes in my collection - that is a major statement from me because I have 22 eyeshadow palettes in my stash! 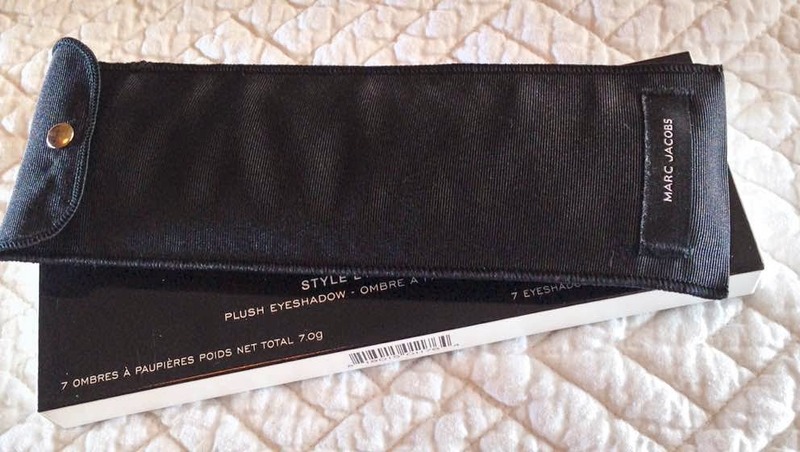 I love the packaging - it is a tin, like the Naked 2 & 3 palettes, so would be perfect for travelling as the shadows are well protected. It looks like a big bar of chocolate & before I bought this, I did wonder if I would want a bar of chocolate every time I used it, due to the design & scent (it smells like chocolate! ), but I haven't had a craving so far. There is quite a large mirror inside the lid, which I like too. 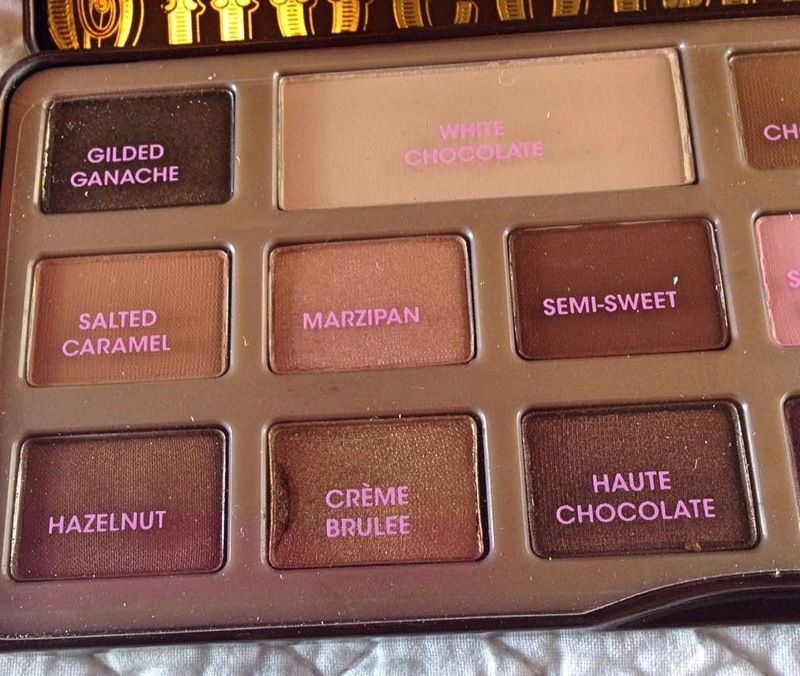 There are 16 shadows in this palette and they are a mixture of mattes & shimmers. The great thing about this palette is that the shadows are not just neutrals - there are some nice pops of colour in there including Cherry Cordial & Candied Violet. The first shadow that stood out to me was Creme Brulee - this shadow is simply stunning. It is a beautiful bronzey-gold & I love to pair it with Gilded Ganache in the crease. My husband commented on my eye make-up the first time I wore this combination & said it really made my eyes pop & the whites of eyes looked whiter!